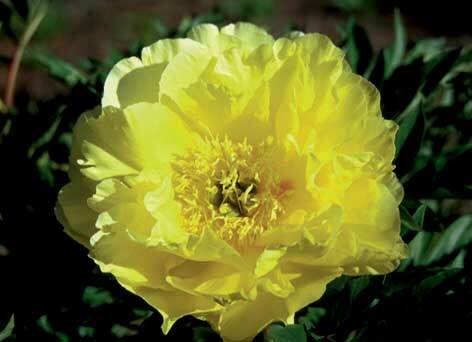 A thoroughly excellent plant with bright strong yellow semidouble to double blooms. There is a small but variable amount of scarlet red in the flower centre. The foliage is light green & forms a neat compact bush. At maturity size of blooms can be 8" (20 cm) in diameter & height of bush approx. 25-30" (60-85 cm).